In the mobile apps world, there exists an enormous amount competition. Developers today are paying more attention to marketing than ever before. To win in the app industry requires a lot of effort, but it is a fair game — no pain, no gain. Why do you need to update your semantic core regularly? Even if you are an experienced App Store Optimization manager having conducted semantic research in the last couple months, be sure to repeat your research and continue to keep an eye on it. The mobile industry changes rapidly, and in this game, the winner takes all. For those who are not familiar with semantic research, let’s look at what the semantic core for mobile apps actually is. A semantic core is a set of words and phrases that describe an app’s functionality and list the user problems that can be solved with the help of the app. To put it simply , it is a set of words or phrases that your target users might use to search for your mobile app. What is the Traffic Score feature and why do you need to understand it? 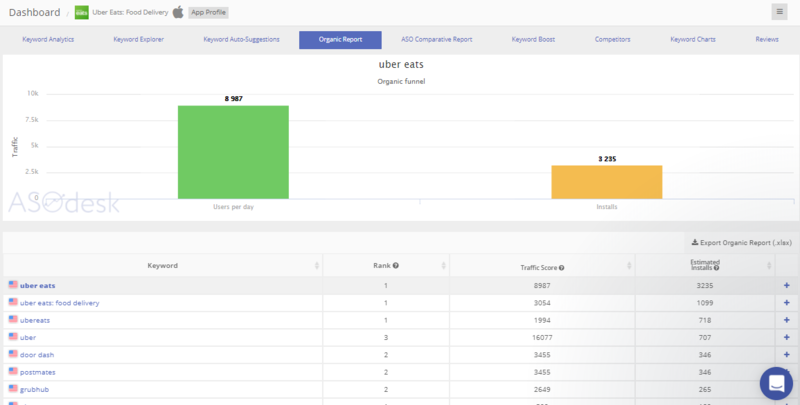 The ASOdesk Traffic Score feature helps you to understand the value of every keyword you use for your app. Traffic Score is a feature located in the Statistics Module, and displays the estimated number of users searching for a keyword in a particular country. if the number is zero, then there is definitely no traffic and you should forget about this keyword for your ASO. If one keyword has more value than another — believe it. The following example is interesting as it shows not only a comparison of the two ASO services for a single search term, but also their position relative to each other in the App Store search suggestions. Keywords ”hookup” and “hookups” have a comparable search frequency according to a popular ASO service, the second request performing better than the first. If we look at the App Store suggestions, we can see that the request “hookup” appears much earlier than the ”hookups” search term. 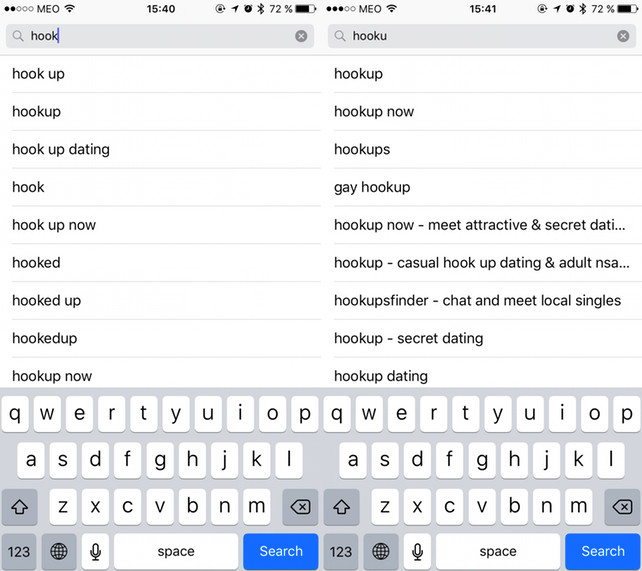 Given the fact that the suggestions in the App Store are formed on the basis of popularity, this tells us that the keyword ”hookup” is a more popular search term than ”hookups” — exactly what we see on the ASOdesk.com service. As the last App Store algorithm update says that the app description should be no longer than 50 characters, when using ASOdesk, give priority to the keywords that have values greater than zero. 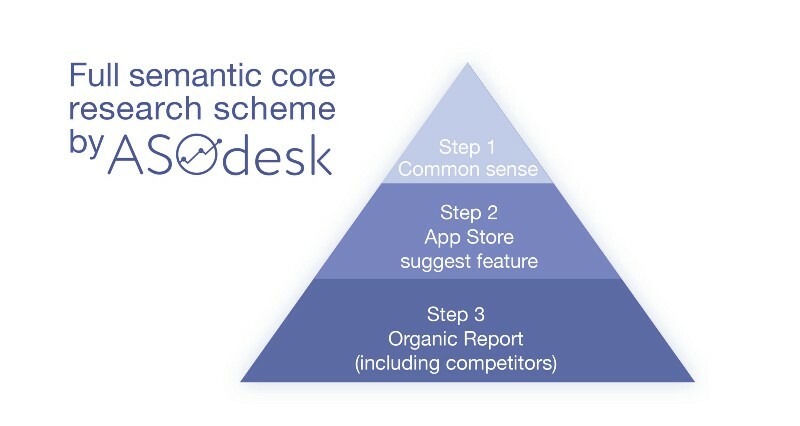 ASOdesk gives you 3 quality tips on semantic core research without losing time. If your application has not yet appeared on the market and you’re just about to release it, it would be a good idea to sit down with your team and discuss search requests that meet the functionality of your application. For example, if your application is a flight booking agregator, your search requests will be “cheap flights”, “flight search”, “plane tickets” and so on. Also you can use Keyword Explorer feature. Also check out reviews of competitors apps. Users will usually give ideas on search requests by speaking “user language” which developers often forget. ASOdesk has implemented an App Store suggests feature so your semantic research will now take much less time. Add your app. Go to the Statistics Module and add the keywords that you collected during the Common Sense phase. 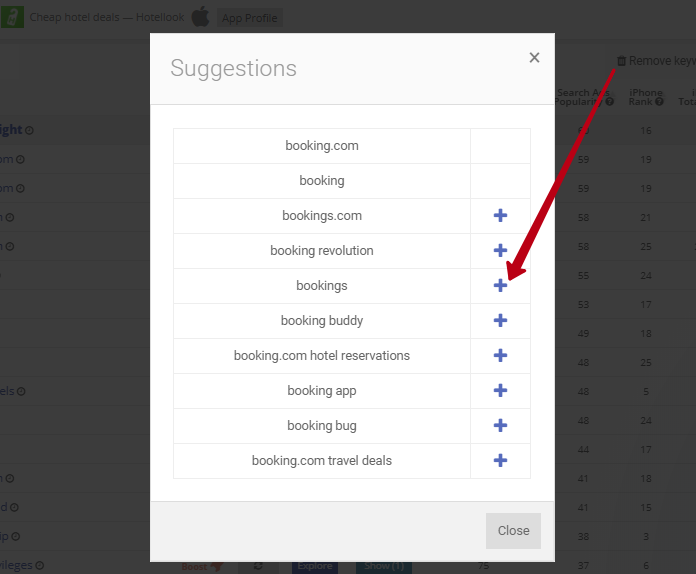 After you have added all your keywords, when you click on the three dots next to a particular word, you will get the suggestions from the App Store. You can add these by clicking or tapping +. If your app is already in stores, you might see keywords by which your app can be found, even if you didn’t include them! To spy on your competitors, go to the Keyword Charts Module and select the apps from the top 10 positions to see their Organic Report. You’re sure to find a lot of new keywords! How to create a semantic core automatically?